International Journal of Arts and Commerce (IJAC) is high-quality open access peer-reviewed research journal that is published by the Centre for Enhancing Knowledge (CEK), UK. International Journal of Arts and Commerce published monthly. 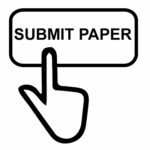 International Journal of Arts and Commerce providing a platform for the researchers, academicians, professional, practitioners and students to impart and share knowledge in the form of high quality empirical and theoretical research papers, case studies, literature reviews and book reviews. International Journal of Arts and Commerce welcomes and acknowledges high quality theoretical and empirical original research papers, case studies, review papers, literature reviews, book reviews, conceptual framework, analytical and simulation models, the technical note from researchers, academicians, professionals, practitioners and students from all over the world. International Journal of Arts and Commerce publishes research paper in the field of finance, accounting, banking, economics, marketing, management, human resources management, entrepreneurship development, industrial relations, operation management international business, hotel and tourism, business ethics, international relations, law, development studies, population studies, political science, history, journalism and mass communication, corporate governance, visual arts, music, linguistics, cross-cultural studies, public administration, psychology, philosophy, sociology, women studies, religious studies, social welfare, anthropology, education.